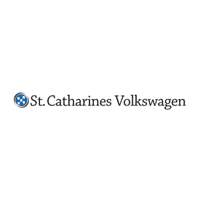 If you are a recent graduate and you finance or lease a new or Certified Pre-Owned Volkswagen. You earned it. Now own it. Volkswagen Credit is dedicated to helping recent and future college graduates purchase or lease a new or pre-owned Volkswagen vehicle. Talk about the benefits of education. If you are a recent graduate and you Finance or Lease a new or Certified Pre-Owned Volkswagen, a rebate up to a maximum of $500 may be applied to your transaction amount. Subject to certain conditions. Your alma mater is a Canadian or US university (Bachelor, Master and Doctoral), a Canadian community college with a two-year program, or a CEGEP program of 2 or 3 years (DEC). Graduates from recognized nursing, military or police schools are also eligible. No other types of diplomas or combinations will be accepted.